Singer, Songwriter and multi-instrumentalist, Gordon Matthew Thomas Sumner, who emerged as one of the most successful and respected singers, started his career with the legendary rock group The Police in 1970s. He was the lead singer, chief songwriter, and bassist for the band. From 1978 to 1983, the band gave five big hit albums and won six Grammy Awards. His rose to fame with this band but gradually went on for solo performances and received huge fame as a solo artist in 1980s. It was in late 80s that he earned a strange nick name ‘Sting’ for wearing the black and yellow stripped sweater onstage. In 1985, he released his first solo album ‘The Dream of the Blue Turtles’ which reached Triple Platinum within a year after which he kept giving some popular and famous singles such as “So Lonely”, “If You Love Somebody Set Them Free”, “Love Is the Seventh Wave”, “Fortress Around Your Heart”,”Russians”, “Can’t Stand Losing You” and more. Sting was born in Wallsend, North Tyneside, England to Ernest Matthew Sumner, a milkman and engineer and Audrey, a hairdresser. He would assist his father in the early-morning milk-delivery rounds, and love to play an old Spanish guitar gifted to him by one of the friends of his father. He attended St. Cuthbert’s Grammar School in Newcastle and then Northern Counties College of Education. On completion of studies in 1974, Sting took up teaching as his career and taught at St. Paul’s First School in Cramlington for two years. However, Sting had already started performing in jazz bands such as the Newcastle Big Band, and the Phoenix Jazzmen in his spare time especially on evenings, weekends, and class breaks from college. In 1977, after having moved to London, he teamed up with Stewart Copeland and Henry Padovani and formed the New Wave band The Police. 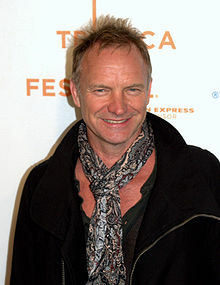 Sting has received sixteen Grammy Awards for his work, one Emmy Award, three Brit Awards, a Golden Globe, and several Oscar nominations for his unique and Original Songs. Throughout his career, Sting has experimented with different musical style and incorporated exclusively original pieces by mixing elements of classical, jazz, reggae, New Age, and worldbeat into his music. In June 2002, he was inducted into the Rock and Roll Hall of Fame and the Songwriters Hall of Fame. Apart from musical career, Sting has appeared in several movies including the science fiction drama Dune in 1984, Plenty in 1985, Stormy Monday in 1988, The Grotesque in 1995, Lock, Stock, and Two Smoking Barrels in 1998 and many others. He has also worked on soundtracks for films including The Mighty in 1998, The Thomas Crown Affair in 1999, and The Emperor’s New Groove in 2000. 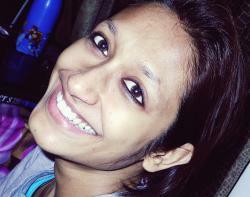 Sting has been always active in human rights and other social issues.